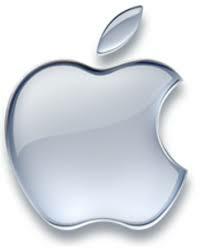 Apple ID Hacking is a phrase that must raise eyebrows at Apple. Apple ID Hacking:: It is a strange thing that despite so many layers of security, deployment of SSL certs, network layers, security protocols and user awareness campaigns, people lose control of their user IDs. Hacking takes place everywhere. Be it Apple, some bank, government website, Facebook etc. all make efforts to educate their users. I feel it is at most the end user that causes the fall for himself. Apple ID Hacking:: In fact the future of all digital companies, including financial service providers, depends largely upon a secure and transparent internet. Phishing and hacking are least likely to help promote digital revolution just around the corner. The scams, be real or artificial, always surround us. They catch our attention. And we seek knowledge to be safe of the heck. Companies keep sending emails to their users not to share the details of their emails, IDs, passwords, credit cards and of personal info. But the hackers and phishing people live in another world. They are creative in a negative way. They would pounce upon every opportunity to grab every ID they can get. Apple ID Hacking:: The purpose of this article is to guide you about the malicious attempts for ID hacks and how they work. I have broken down a real hack attempt into pieces for your understanding. They would prompt you to click on the link and reach the login page, a fake one. Let us see what happens when we enter fake info into a fake website. The spam website tells that it has locked my account. Now it wants my personal info to get it unlocked. Lets click on the link the fake website wants us to. When we click on the link “Unlock Account”. Well, the story does not end here. It just begins. The moment we enter our personal info. They will use it in so many places. Remember, personal info is always risky. Never give it away. We are not talking about financial info only. We are talking about your info. Never give it away on any website or form especially when some asks you to verify your personal info on email. Always remember that a company’s website and emails always contain its exact name or abbreviation. Wish you the best of luck for your safety on the internet.